Dura-Flex™ is the recognized leader in the entertainment cable industry. Dura-Flex™ DMX-512 cables feature 100% shielding and a drain wire, providing maximum protection against interference and external noise. Capacitance and impedance characteristics are specifically designed to provide superior data transmission while meeting the Entertainment Technology – USITT DMX512-A Asynchronous Serial Digital Data Transmission Standard. 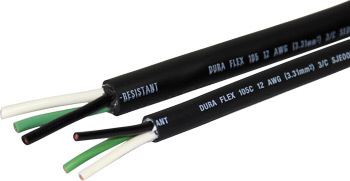 In addition, Dura-Flex™ DMX-512 cables carry CL2 and FT4 ratings and is REACH compliant. 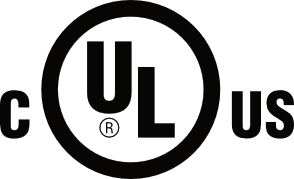 Every Dura-Flex™ cable carries both UL and CSA approval. Dura-Flex™ cable assemblies are also UL and cUL listed. Dura-Flex™ cables are committed to being the best cables in the entertainment industry. Every Dura-Flex™ cable is built to the highest quality standards with an uncompromising attention to detail. Fine copper stranding and a proprietary PVC jacket compound provide an unmatched synthesis of durability and flexibility. Featuring a unique reverse planetary lay, paper tape slipping agent and technologies from the robotics industry, our multi-cables and assemblies have changed the face of the entertainment industry, making stiff, bulky multi-cables a thing of the past. Dura-Flex™ multi-cable is so durable and flexible that it is backed by an industry exclusive money-back guarantee. Together with UL listing, Dura-Flex is the perfect choice for your next project. In addition to product performance, your health and safety are extremely important to us. That is why Dura-Flex™ is the first multi-cable ever to feature 100% lead-free construction. With UL, CSA, CE, NOM and DENAN approvals, Dura-Flex™ meets or exceeds strict safety standards for North America, Europe, Mexico, and Asia. Dura-Flex’s paper-tape slipping agent also provides talc-free construction. Dura-Flex™ control cables feature 100% shielding providing maximum protection against interference and external noise. Specifically designed capacitance and impedance characteristics guarantee superior DMX data transmission for a truly flawless performance. Dura-Flex™ DMX cable is available by the foot or in bulk on 1000′ reels. Available in single-pair and two-pair DMX-512. 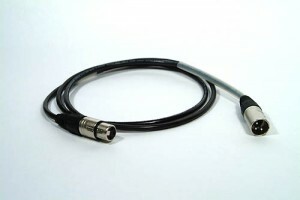 Single Pair or Two Pair DMX-512 cablesmanufactured using Dura-Flex™ DMX Cable, terminated with Neutrik in-line XLR connectors. Standard sizes: 5ft, 10ft, 25ft, 50ft, 75ft, 100ft, 150ft and 200ft lengths with custom lengths available. Everything you love about Dura-Flex cables are now available in Cat5. Dura-Flex Cat5E carries the same properties as the rest of the Dura-Flex cable line, including Dura-Flex strength, ease of use, and environmental responsibility through RoHS certification. It’s manufactured to withstand rigorous conditions that come with performance after performance. 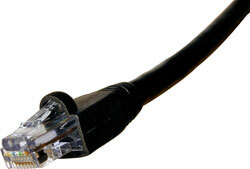 Dura-Flex Cat5E cable is available through Creative Stage Lighting dealers in bulk and various cableset lengths with standard RJ45 connectors and Neutrik EtherCon connectors. 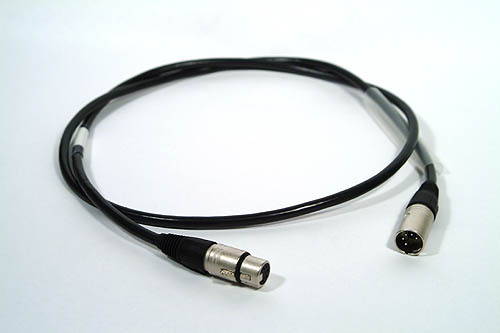 Our microphone cables are manufactured with Dura-Flex™ Cable and are terminated with Neutrik 3-pin in-line XLR connectors. Standard 5ft, 10ft, 25ft, 50ft, 75ft, 100ft, 150ft and 200ft lengths, with custom lengths available. For fast assembly, Dura-Flex™ multi-cables feature clearly labeled high current conductors matching Phase 3, Socapex and Veam VSC pin configurations. The #1 conductor is easily identified by its bright red color while conductors 18 and 19 feature green and green striped identification. For your safety we have eliminated hazardous talcs and engineered a paper tape design that is cleaner and safer while performing as a superior slipping agent. Let us put our knowledge and experience to work for you. With more than 27 years of experience in the entertainment lighting industry we are sure to bring an added dimension to your next project. We incorporate only the highest quality cable and connectors and manufacture each cable to exacting standards for maximum safety and reliability. All of our cable assemblies are clearly labeled for length. Each label is protected with heavy-duty clear heat shrink. Custom labeling is available. Call us for a quotation on your next project. 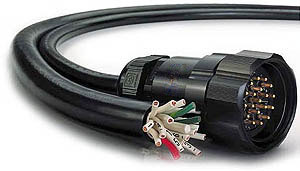 Dura-Flex™ Multi-Cables are available with 19 pin P3, Veam VSC, or Socapex Connectors. Standard 25ft, 50ft, 75ft, 100ft and 150ft lengths, with custom lengths available. With Dura-Flex portable power cords, shake the weight of heavier cables! These cables feature a seoprene jacket, making them easier to strip than conventional cable jackets and make them about 18% lighter than SOOW cables. Featuring a wide temperature range of –50ºc to 105ºc, Dura-Flex portable power cords can take on the harshest environmental conditions. They are also non-marking, leaving your site as clean as when you started. The seoprene jacket is less porous than traditional cables to make them less absorbent and cleaner.